Have you seen the September ~ October issue? There is so much good stuff in it! For all my art-loving friends, you will want to see The Art of Sport! In 2012 I did a post on the Then Things I Wish I Believed When I First Began Homeschooling. I never compiled all the links into one post and I had intended to do so. It is wildly rare that I will see something on Facebook, click through a link, read a review, and buy it point-blank. I know that sounds sort of funny considering what I do for a living, right? However, I rarely do that. I did this time and don't have any regrets at all! Last week I bought this set (Fall Art Tutorials Seasonal Chalk Pastel Bundle) from Southern Hodgepodge. It was (and still is as of this moment) only $7.99. I don't often buy e-books, but this just looked too arty and fun for me to pass up. It was also *perfect* for our co-op. 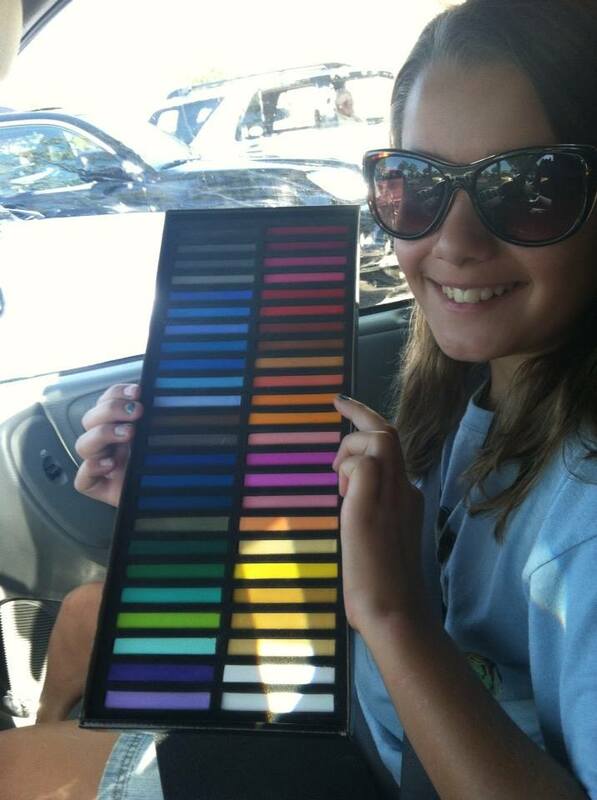 So off we went to Hobby Lobby where I used a 40% coupon that I searched for on Google to buy some chalk pastels. Last year we did quite a bit of work with oil pastels (which was great fun, by the way), but we have not used these before. Guess what? They are a lot like chalk, but with much richer colors. I know, coincidence, right? ;) I loved all the color choices though! Chalk Pastels Through the Seasons has an art project in it that focuses on recreating a known piece of artwork. 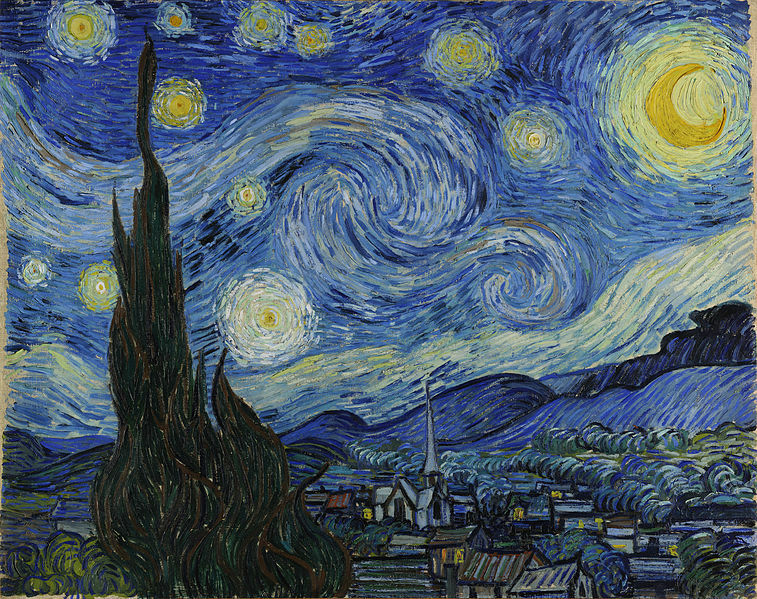 Since we are studying Van Gogh via the Fine Art Pages, I thought, "Hey, why not recreate Starry Night?" So I printed a bunch of them out and spread the kids and the pastels around the table and told them to create their own Starry Night. I have always really liked using the Getting to Know the World's Greatest Artist books. We have used them for years and I own a ton of them. 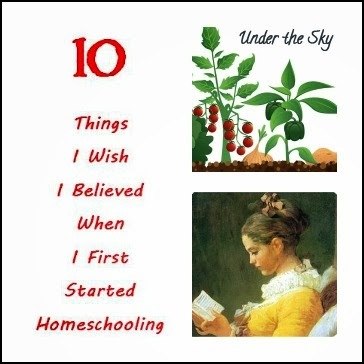 They are one nonfiction book that my children read over and over again. Today, I read it out loud while the kids they did their work so we all learned about Van Gogh and the progression of his art, his techniques, and his rather tragic life. They all did a wonderful job! Each child has their own flair and focus. I loved this! Be aware that chalk pastels are not neat art crafts and my table was quite blue at the end of it. It washes off easily though, and even the blue washed right out of a white dress! If you decide to do a chalk art day, definitely let me know what you think of it! I was really happy with the results of all eight of the children--at all different ages and ability levels. I saw this posted several times on Facebook and finally looked at it today. WOW. God makes the coolest creatures with the most astonishing abilities! You will definitely want to gather the kids around for this. I LOVE the amazing beauty in God's world! More fun stuff at Science Friday. A daughter with an interest in writing! It is so exciting to me to see my youngest genuinely interested in the process of writing--any language arts for that matter! It was such a struggle to teach her to read and I just rejoice in the work that is going on here. Charlotte is using the IEW materials we received as Crew members this year and is starting slowly. She helped the girls break down sentences into the main words of the sentence and then rewrote it with them. I just love seeing this happen! 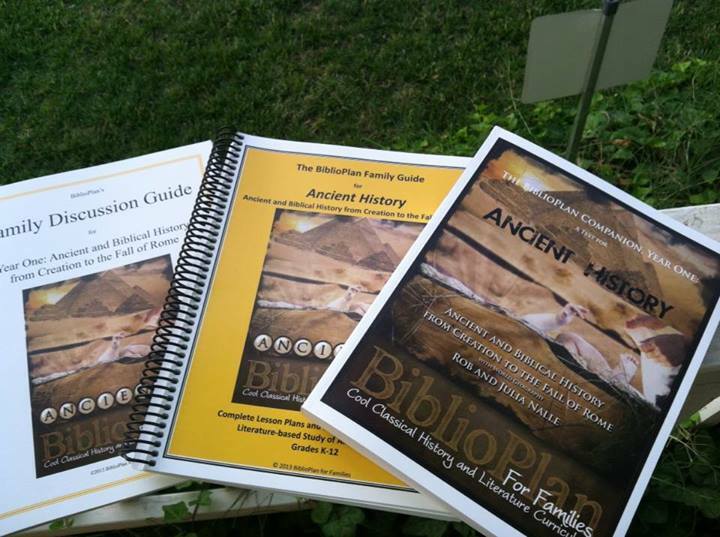 We are also using Biblioplan: Ancients and I am very excited to get going on this. In conjunction with Biblioplan, we are using Map Trek: Ancient World (as they just have unbeatable maps!) I love their work and they are perfect for what we are doing with Biblioplan. Biblioplan has its own maps, but I think Map Trek is better so we are using those instead. For a little extra fun, and a great way to see Egyptian life (and the story of Joseph) come to life, we watch about an hour of the movie, Joseph. I definitely recommend it, but do know that they show Potifar's wife in a realistic way! We also made salt dough maps of Egypt today and will paint them next week. We had the four youngest draw the map onto cardboard and then fill in the non-water parts with salt dough. It will be fun to see what the finished product looks like! 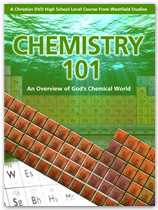 Chemistry is on the docket this year and I really like this company's work. They make it real, tangible, and interesting! They apply it to life too so students walk away with something rather than what *I* walked away with when I took Chemistry a million years ago--nothing! We are also using Classical Composers Monthly Fine Art Pages. You can get a sample of what these are on their website. I won a set of the art pages and we are using them. 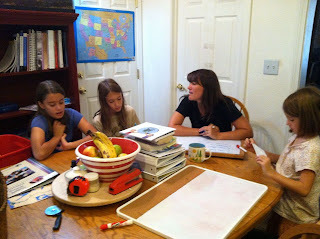 It is a simple way to get a little bit of art history into one's homeschool and right now, I need simple! I may dabble in their composers study too, but I have not gotten that far yet. Still, all in all, we are doing a lot in co-op this year and have stepped up the work for the kids during the week too. I am thrilled that we are able to accomplish so much in such a short period of time and build and help each other. I don't think my kids would get this rich of an education were I schooling alone--in fact I know they wouldn't. I do so appreciate that accountability! Do you co-op any of your subjects?